The Need For Speed franchise has been around for longer than I care to remember. 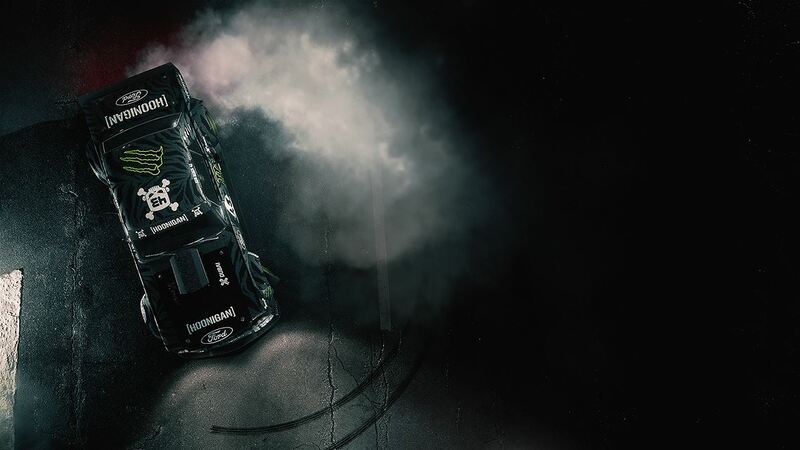 Two decades of hard, fast racing has meant that those three little words see fans clamouring to get a taste of the action, no matter where it is, when it may be or how much it’ll cost them. The latest in the long line of games goes back to its roots – at least in the title stakes. 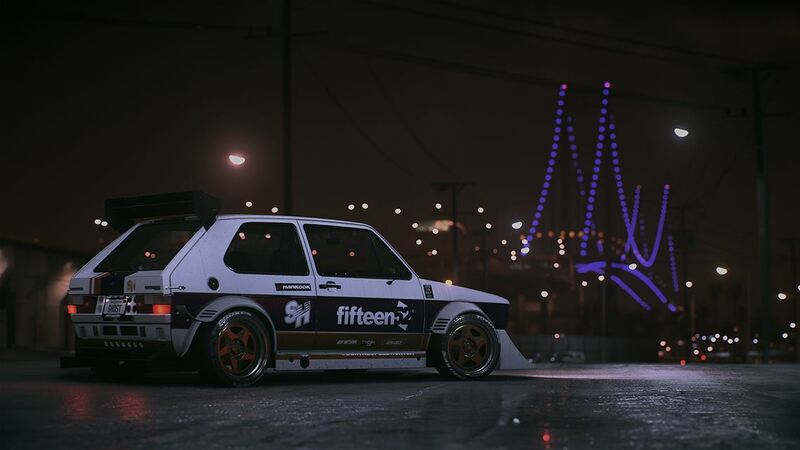 Need For Speed is back guys, and it’s attempting to bring the whole underground street racing culture to a new kind of gamer. Street racing has never been held in such high esteem as it has done the last couple of years. The Fast & Furious films have shown the scene to be vibrant yet scary as hell, with customised cars most definitely being the star of the show. Need For Speed sees Ghost Games and EA take everything they know about the culture and bring it into the gaming world like never before. Forza Horizon 2 may be one of the most fun racers around, but Need For Speed is ready to show that there is much more to arcade racing than going off road and chasing trains, planes and other automobiles. In fact, it’s all about getting behind the wheel of a nitrous filled hot hatch, in the dead of night, alongside other racers and vehicles of similar ilk. Pink slips are king and you’ll need to bring your complete and utter A-game to the table should you even think about winning. Winning and racing in fact! 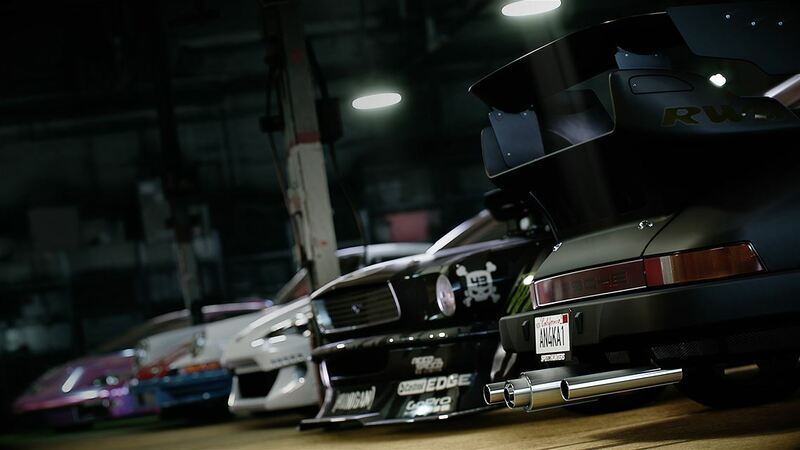 The latest Need For Speed however gives you five different ways to play – all which entwine together as you build reputation and master the huge open world that is before you. Speed, Style, Build, Crew and Outlaw all need completely unique techniques should you care to win and with some intriguing characters helping you out in each field, it is completely up to you to decide how you wish to play. If you’re a sprint king, then you’re sorted, similarly if you prefer to spend your time going sideways through corners. Hell, if you want to sit down, grab the attention of the cops and smash your way through a ton of road blocks then Need For Speed has you sorted…to an extent. With a ton of live action video sequences breaking up the racing scene, you’ll be treated to some of the best acting and film scenes that can currently be found on this generation of consoles. It’s not just the car that is the star this time round and from the get go it is YOU who is at the forefront of everything. With the likes of Magnus Walker, Ken Block, Nakai-San and Morohoshi-San all getting involved, you can see why the draw of Need For Speed is such a big one. The racing is fast and frantic, and whether you decide to partake in a sprint race, hit the drifts, compete in a time trial or show off all your skills in the gymkhana events, all the skills that you’ll have acquired over the years of videogame racing will need to be on point. Caning your way around the streets is great fun, hand brake turning in order to keep the speed through your corners and drifting from left to right as you go are all part of the attraction. With everything you do earning you experience points, all of which are split across the five categories mentioned earlier, just driving round like a loon is something which you can do for many an hour. But if you need some direction, then checking out the extensive map screen and finding a race, objective or mission to get busy with is your best way forward. With your fellow racers all hassling you for a race via your mobile phone, you won’t want to leave them hanging around for too long; not just because they won’t stop pestering you if you don’t, but because they know the best routes, they have the key to the missions and rocking up to meet them is most definitely an experience you’re want to see. That said, the vast majority of Need For Speed sees you focusing on one thing and one thing alone…a bloody huge blue line. This points you in the direction of your goal at all times, but is far too big for the map which houses it. Due to the speed of the game and the confusion that this blue line brings, you’ll find yourself all too often crashing into bollards as you attempt to weave down the correct slip road at the very last minute. It’s annoying as hell, especially when the crash cutscenes drop you back into the race…pointing you in the completely wrong direction and miles away from the other racers. Whilst the rubberbanding in place normally gives you the chance to catch up, if this happens near the end of a race, it’s pretty much curtains, ensuring you having to drive all the way back to the start again in order to compete once more. With a speedwall showing your friends best scores and times for each event, it’s a simple case of rolling up to the objective marker and hitting the gas. From there on in you’ll find some hot racing filled with beautiful cars and stunning speed. Easy, medium and hard races are all present so depending on your skill level, Need For Speed will keep you busy for a good old time. If you do manage to complete each race, bettering the scores of each and every one of your online mates in the process, then driving around exploring the world is also great fun. There are a number of collectible processes in place, requiring you to hit a donut spot, check out some stunning vistas and drive up as close as possible to some hidden part vehicles. 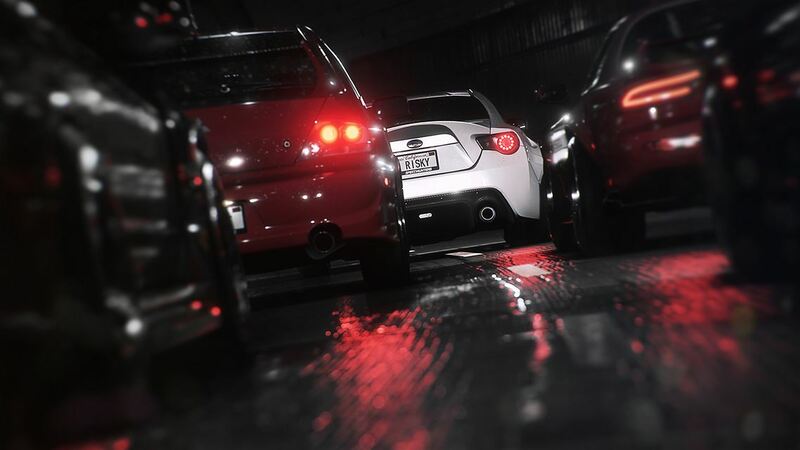 The most challenging of challenges however must be the one which forces you to hunt down each and every specific car in the game, and beat them in a head to head. That alone should take even the best racer a long old time! You won’t win much however unless you decide to pimp your ride and if you so wish, you can customise your car to your hearts content. Personally, I’m not a fan of spending hours on end creating beautiful visuals and tuning engines to the limit, much preferring to get out behind the wheel, but if that is something which you enjoy, then Need For Speed has you sorted. The severely limited garage will however be a bit of an issue for those who wish to collect a huge array of cars though and there is never the chance to spend time looking through your steads with joyful eyes. Hopping back to the garage at any point is simple enough (hell, there’s even an option in the menu for you to get back as quick as possible) and once there, the options are endless. Much of the upgrades and amendments on offer however will need unlocking first, so getting out there on the open roads is always something that will be sitting in the background. Bubbling along in the background, ready to pounce at any moment are Need For Speed’s crack Police force. Be spotted racing too quickly, or acting like an idiot and it won’t be long before the 5-0 are hot on your tail, ensuring that your fine continues to climb for every second that they are in pursuit. It is here that you have a couple of options…drive away as fast as you can, dragging further cops into the action and increasing your fine to silly figures before hiding away down a dark alley, or pulling over, paying the fine and getting on your way. The problem is the police force found in Need For Speed aren’t the cleverest. Even whilst you are driving a pretty standard every day car, they are simple enough to get away from, hardly putting up an effort at all, whilst at other times they’ll completely refuse to bust you, even if you decide to end a chase early by sitting plumb in the middle of a highway with blue lights and sirens surrounding you. They do in fact feel a bit like a tacked on addition that has just been added at the last minute and that’s a bit of a shame as cop chases were always great fun in previous titles. Need For Speed is a constantly rolling online title and whilst this initially sounds great, in practice, it’s a bit of a pain. Not only do some of the other humans who are populating your game get in the way at the most inopportune of times, but much of my time spent gaming is enjoyed as a solo affair. This means that I like to pause the game at times, perhaps to get a drink, grab a snack or check my current Twitter feed, but Need For Speed utterly destroys you for attempting to do so. It’s a pain, a right pain in fact and I was constantly looking for the next opportunity to put the controller down for a couple of minutes. However, an online mode does mean that you can challenge other racers to spontaneous races at any moment. Unfortunately yet again in practice it doesn’t work, mostly because I believe the vast majority of racers are thinking along my lines…park up at the side of the road for a little rest, ignoring the living breathing video game world as we do so. Grab some mates though and the wolrd is your oyster! I did also half expect the Need for Speed Network – the thing powering everything in the game – to be a little dodgy, but with a ton of hours behind me, I’ve only ever experienced one drop in connection and that was back in the early days of its original release. Overall then and despite the pounding soundtrack, Need For Speed doesn’t ever get into top gear. After initially being wowed by the video scenes, they quickly get boring and the constant attention that the narrators crave is nearly on a par with good old Roman Bellic back in GTA IV. At least they aren’t begging for a game of pool though! I would also have much preferred to see completely separate offline and online modes too as I just can’t get passed the constant hassle of others. Similarly, the exclusion of a cockpit view is just criminal as I’ve found none of the five options available to be to my liking. Both the graphics and the soundtrack that accompany your racers are of a supremely high level but the odd bit of audio lag, visual stutters and the occasional game crash also bring the latest Need For Speed down a notch or two, although admittedly these are few and far between. If you like your racing and need a none-to-serious take on the underground scene, then by all means pick up EA’s latest Need For Speed racer. Just don’t expect it to blow you away. Next articleLet’s Play Fat City on Xbox One!